Mike Gorski’s well-rounded approach resulted in a successful client—and a friend. A call for help. Several years ago, personal trainer and registered dietitian Mike Gorski faced a unique challenge. He was contacted by a woman named Colleen who hoped that he might help her brother, Zach, improve his health. That last fact gave the trainer pause. 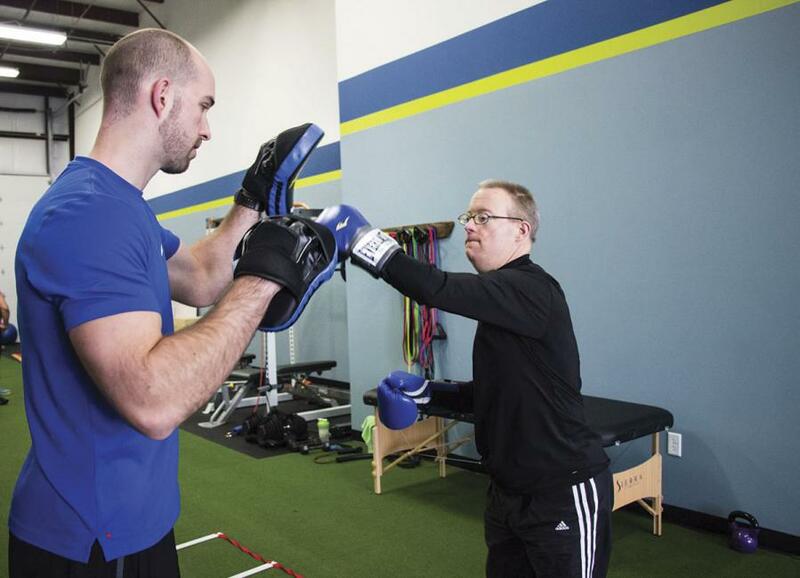 “When Colleen reached out to me, I honestly had no clue where to start and could find only a few resources to guide my training with Zach.” Gorski learned that people with Down syndrome tend to be hypermobile and often present with deficits in strength, motor development and cardiovascular fitness, as well as problems with breathing, vision, heart and thyroid. Otherwise, very little else differentiated Zach from Gorski’s other clients. Aside from a football rivalry—Zach is a Chicago Bears fan and Gorski prefers the Green Bay Packers—the two bonded immediately. A team effort. One of the first steps Gorski took was to meet with Zach’s “team,” which included a driver, an assistant and a roommate. “I wanted to meet with the entire team so I could explain the importance of Zach’s diet, what he should be doing at home for exercise, and how we could all work together to get him the best results,” explains Gorski. For the nutrition part of the program, the trainer emphasized portion control and how to eat a balanced diet that included plenty of proteins and vegetables. It helped that Zach’s team prepared most of his meals for him. 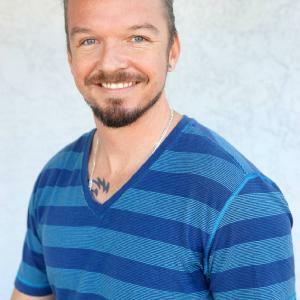 Adherence to his new diet was spotty on days when he was responsible for his own food, but “over time Zach learned appropriate portions for all foods and became very aware of how much food is right for him,” says Gorski. Progress through practice. Before hitting the workout room, Gorski facilitated anthropometric measurements and range-of-motion and strength tests to determine a baseline for Zach. These measures revealed discrepancies that would inform his fitness program. “Zach could not sit on a box at parallel and stand up without assistance, and he had to use the handrail to help him get up the stairs,” Gorski remembers. The trainer initially employed exercises to improve lower-body strength so that Zach could become more physically independent. “We started with body weight squats to a box using a TRX® Suspension Trainer™ , progressed to body weight box squats, then to body weight squats and eventually to goblet squats with kettlebells.” Gorski addressed Zach’s balance deficits by incorporating single- leg and seated stability ball exercises. Gorski also challenged Zach’s mobility with basic speed ladder drills. The approach worked. Two years later, Zach has maintained a 70-pound weight loss, and his thyroid is no longer an issue. “Another huge victory is avoiding any medications for diabetes; Zach is completely cleared of glucose issues,” says Gorski. For a short video of a TV news story featuring Zach, visit http://m.channel/3000.com/28368450.